Ernest Lawrence, a USD chemistry student and half the namesake of the Akeley-Lawrence Science Center, had an explosive impact on both the university and the world stage. Lawrence, a contributor to the construction of the first atomic bomb, was from Canton, S.D. After attending St. Olaf College in Minnesota for one year, he arrived at USD in 1920. He graduated with a chemistry degree in 1922, went on to study at Yale and eventually earning his doctorate at the University of California-Berkeley. 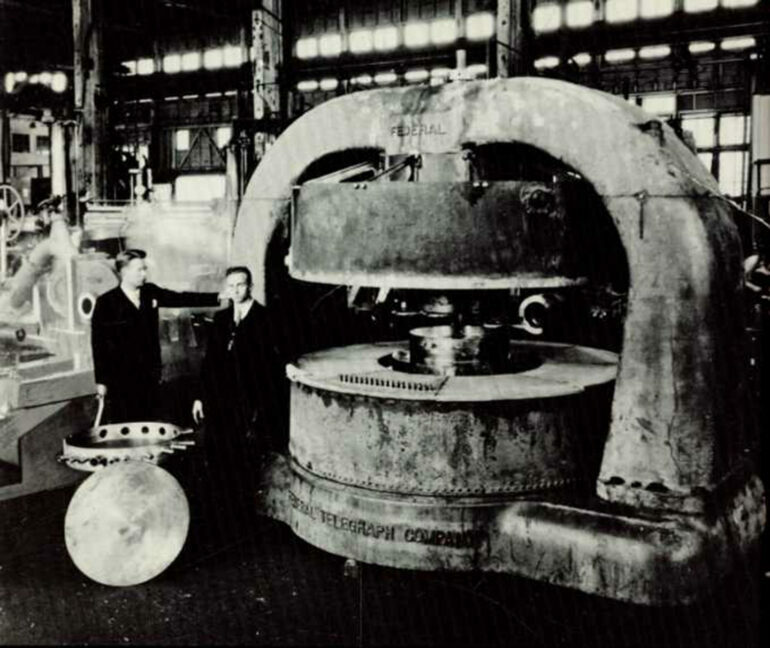 In 1939, while at Berkley, Lawrence invented the cyclotron, an invention used in the Manhattan Project from 1939-1946 to create the first atomic bomb used in the bombings of Hiroshima and Nagasaki in World War II. Christina Keller, retired chair of the USD physics department, said the cyclotron was used in the Manhattan Project to separate uranium isotopes. While developing the cyclotron, Lawrence was aware he was contributing to the Manhattan Project, Keller said. 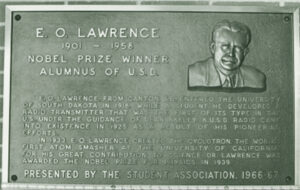 Lawrence received a Nobel Prize in Physics in 1939 for his work with uranium and the cyclotron, making him the only USD graduate to receive a Nobel prize. During his time as an undergraduate student at USD, Lawrence formed a mentee relationship with Lewis Akeley, a physics professor. Akeley thought highly of Lawrence’s potential as a physicist and student, even proclaiming during a lecture, “Class, this is Ernest Lawrence.” Akeley taught Lawrence by flipping the classroom- Akeley became the student, and Lawrence was the instructor. 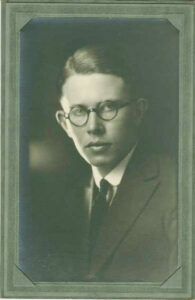 In his first year at USD, Lawrence approached Akeley with the idea to build a radio wireless set and transmitter. Lawrence created the radio station, South Dakota’s first, because of his interest in science, not journalism, Keller said. “The reason that he started the campus radio station was that he was interested in electronics, so he’s fiddling around with it; he was more interested in the technology of it than actually reporting the news,” she said. The building where Lawrence originally began KUSD was named the Lawrence Telecommunications Center in 1982, which was renamed to the Al Neuharth Media Center in 2001. However, the Akeley-Lawrence Science Center was also renamed that same year, paying homage to the special student and professor partnership Akeley and Lawrence had. “The naming of the Akeley-Lawrence Science Center was a nice way of remembering the connection between the mentor and the student,” Keller said. Another legacy the pair left on USD was the Akeley-Lawrence-Norgren scholarship, a Coyote fulfillment scholarship given to 16 science students each year, although Keller said she doubts the recipients of the scholarship understand the history behind it. Lawrence’s brother, John, who was also a USD graduate, is known as the “Father of Nuclear Medicine.” The pair worked on the acceleration of high energy particles together, using their knowledge to combat their mother’s thyroid cancer.